An advanced self-service water purification machine, called the Waterpod, could be Africa's answer to providing access to safe, affordable drinking water, while at the same time fighting the environmental scourge of single-use plastics. Co-founder of I-Drop Water and director of Bluewater’s operations in Africa, James Steere demonstrates the capabilities of the Waterpod. 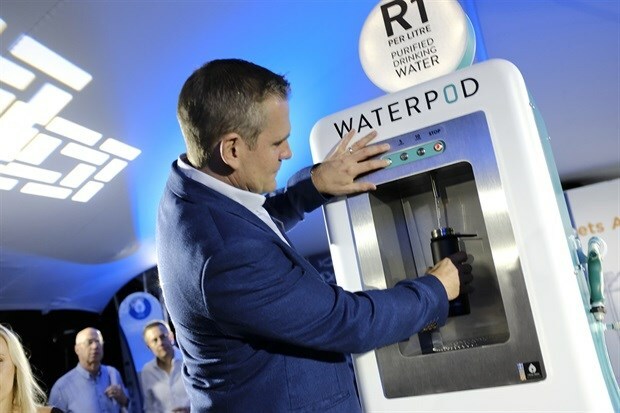 The innovation was unveiled in Johannesburg recently by South Africa's I-Drop Water in partnership with Swedish multinational technology and water purification company, Bluewater. “The Waterpod is a completely new and innovative way for affordable drinking water refills to be sold in retail environments across Africa and beyond. The self-service purified drinking water refill industry is gaining traction around the world, primarily for the significant price and environmental benefits it offers to shoppers compared to bottled water,” says James Steere, co-founder of I-Drop Water and director of Bluewater’s African operations. “In the United States, self-service drinking water refills are available at tens of thousands of grocery stores. However, to date, water refill options in Africa have typically only been available through small dispensers in offices or gyms, or costly, semi-industrial purification machinery in kiosks and stand-alone water franchise shops. "The Waterpod provides an opportunity to open up the entire market by offering the benefits of a small, compact water refill machine with the high-spec purification power of much larger systems, all designed to deliver a great user refill experience for sizes between 1 litre and 25 litres, even in the most complex African water environments,” Steere says. Since 2016, I-Drop Water has installed water purification and refill machines in over 100 retail outlets in five African countries. The Waterpod is the result of almost four years of product development, testing and data that the companies have gathered from across Africa. Co-founders of I-Drop Water James Steere and Kate Thiers. “What we know from our work across Africa is that water conditions vary far more than anyone could imagine. One part of Johannesburg can have a completely different water composition, pressure and reliability of supply to a neighboring suburb”, says Steere. The development of the Waterpod has been boosted by investment from Bluewater, which partnered with I-Drop Water to introduce Bluewater’s SuperiorOsmosis water purification technology to the African market. The Bluewater Pro is designed for direct consumer application and is a point-of-use water purifier that helps both professional environments and homes create their own supply of pure drinking water from municipal or borehole sources. The partnership between Bluewater and I-Drop Water has also given rise to the development of the Bluewater Trailer, a mobile solution for pure drinking water on location and used by large-scale events and with applications in the film, mining and construction industries, where location-based water purification is required. “This exciting new tech rollout is another step towards meeting the challenges of a water-stressed Southern African region and indeed the world,” says Anders Jacobson, president of Bluewater. “This innovation embodies our partnership mantra of ‘Swedish ingenuity meets African innovation’ and is a unique offering aimed at reaching a market of over 2 billion people around the world who still risk their health every day by drinking unsafe water. 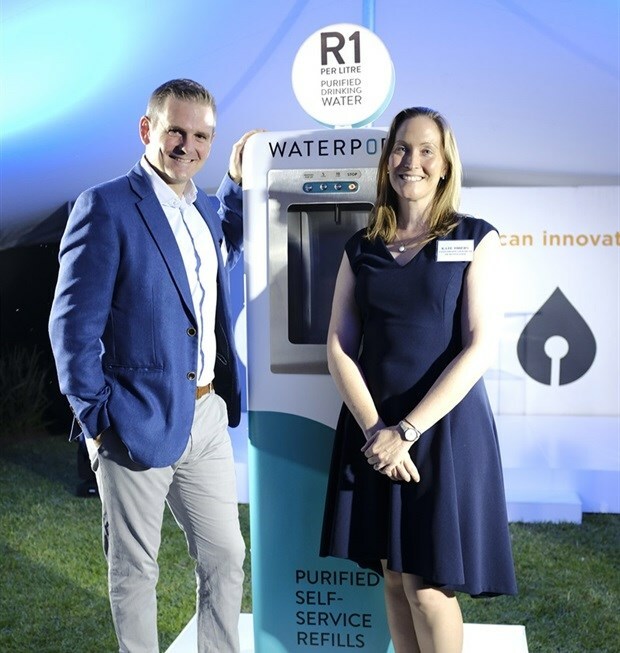 We are excited to be on this journey with I-Drop Water and look forward to further sharing Bluewater’s unique technology and products throughout the African continent,” said Jacobson.